Do you love free stuff? We sure do! When we decided to have a contest this year, we had to decide what one of our lucky brides was going to win. We decided nothing would be more exciting than winning a wedding dress, and we hope you agree! 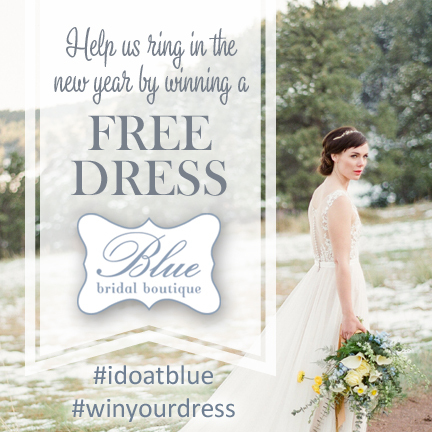 During the month of January, one lucky bride will win her wedding dress from Blue Bridal! To be eligible, brides must purchase their dress from Blue Bridal during the month of January. A winner will be randomly selected on February 1st, and that bride will win her dress! Congrats + good luck, ladies!